For most of the "post-90s" in the Northeast, the topic of "children" and "houses" gradually replaced the most talked-about childhood memories of past gatherings. "I wanted to give myself a new car, but my daughter-in-law gave birth to a boy last year. Finally, the whole family unanimously decided to borrow another house and keep it for the son and daughter." During the Spring Festival return, the "Securities Daily" reporter A childhood playmate, Mr. Zhu, said with emotion at a friend's party. He believes that from the investment point of view, buying a house can achieve medium and long-term value preservation and value-added, which is relatively cost-effective and safe. Looking back on 2018, the price increase in Changchun's hot areas is obvious. For example, in 2018, the high-rise housing prices in Beihu District have not been optimistic. The price has risen from 2,000 yuan/m2 to 9,000 yuan/m2, and many real estate prices have risen to 100 million yuan / square meter. According to data released by the National Bureau of Statistics, in December 2018, the sales price of new commercial housing in Changchun increased by 1.1% from the previous month, and the price of second-hand housing rose by 0.6%. “The price of Beihu District has risen too much last year, and the market has already shown a state of pricelessness.” Mr. Liu, a Changchun resident who works in the bank, analyzed the reporter’s report that the price of Beihu District may be fine-tuned in the future. The magnitude depends on the overall environment of the national real estate market. It is expected that the housing prices in the school district and the area adjacent to the subway will not change much. According to the data provided by Anjuke, the average price of second-hand houses in Changchun is about 9030 yuan/square meter, up more than 20% year-on-year. However, from the perspective of market sentiment, it is still dominated by wait-and-see; More than the situation. First, although the investment has increased, sales have basically peaked. The data shows that in 2018, the national real estate development investment was 1,226.4 billion yuan, an increase of 9.5% over the previous year, while the investment in the northeast region was 472 billion yuan, an increase of 17.5%. The overall investment growth rate was significantly higher than the national average; but from the sale of commercial housing In view of the 2018, the sales area of ​​commercial housing in the country was 171.654 million square meters, an increase of 1.3% over the previous year, while the sales area of ​​commercial housing in the northeast region was 79.22 million square meters, down 4.4% from the previous year. Second, the upward trend in housing prices has slowed down. Hotspot cities in the Northeast have experienced a wave of rising prices in 2018. The price of commercial housing is highly volatile due to the impact of the supply structure. Since September 2018, there has been a gradual decline. Overall, the overall increase in housing prices in the Northeast has been weak, but it should be noted that although the key cities such as Changchun, Shenyang, Harbin, Dalian and other places have weaker housing prices, there is still room for growth in the short term. Third, the population is weak and the demand is insufficient. In the competition for talents in various places in 2018, the concentration of the Northeast is weaker. Although the hotspots of cities have increased the net inflow rate, it is still optimistic compared to the hot cities in the country. .
Fourth, the three northeastern provinces still benefit from the influence of the shed reform policy. In particular, the mode of monetization has promoted the acceleration of real estate investment in the Northeast, but the impact of the adjustment of the monetary resettlement policy on the development of the property market in the Northeast cannot be underestimated. It is expected that in the context of the city's policy, the overall stability of the real estate market in the Northeast will be the general trend. Big data for investors: 80% of account assets are less than 500,000. 19 years are most concerned about these risk factors. There is no better place than China! Munger: Some smart people in China’s water have already broken in. 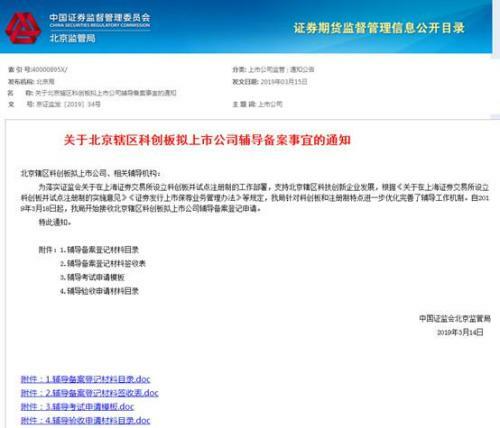 Kechuang board speed: 7 "official propaganda" Shanghai Stock Exchange audit system next week "welcome guests"